The Italian Grand Prix turned out to be a gift for Nico Rosberg, especially as Lewis Hamilton looked as if he was driving on ice. Lewis managed to go from first on the grid to fifth within the blink of an eye, allowing Rosberg to take the lead and stay there to the chequered flag. In what turned out to be an uneventful race for him, Lewis fought back to finish 15 seconds behind his team mate. Lewis had dominated the weekend, so it was a big disappointment, he goes into the next race just 2 points ahead in the championship. Sebastian Vettel and Kimi Raikkonen both ran a good race in front of the Ferrari fans, but it would have been a lot to ask for them to finish ahead Mercedes. A third for Vettel and fourth for Raikkonen was a decent result, we still think one of them could be on the top step before the season finishes. Daniel Ricciardo, one of our fancied drivers, has yet to get it together or get a bit of luck. He started 6th on the grid, after what can be classed as a text book pass on Valtteri Bottas managed to grab 5th. We know this driver can and will do better. Valtteri, another good driver on the day, had a complete role reversal to Ricciardo starting 5th and finishing 6th. Bottas is however showing signs of improving, after a mid-season lull. Felipe Massa, a long-time favourite of Place a Bet Online, is set to retire at the end of the season. Felipe will be missed by the fans as he is a real gentleman of the track, we wish him a long and happy retirement. Though we expect he has some good racing in him yet. Max Verstappen started 7th behind Ricciardo but had somewhat of a quiet race finishing in the same position. He might have been told to calm down after what some thought were dangerous races, though we don’t want to see his enthusiasm stop. Max always gives it 100%, so we hope he only puts the brakes on a touch. Jenson Button is having a sabbatical next season, but he will still be with McLaren as a stand in driver and ambassador. He could drive again in 2018 if Alonso were to leave the team, which we think is unlikely. Button is another driver that will be greatly missed, his only glory at Monza was to overtake his team mate in the closing laps. 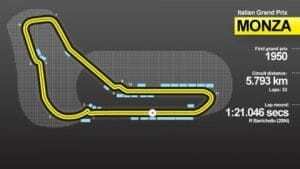 The next race is in Singapore, a night road race. Sebastian Vettel won there last year, when the Mercedes cars had problems. To this day we don’t think they know what it was, but both cars were well below par. If it was a result of the time and race location and the same to happen again, this would give you a great chance to get a good outside bet. Unfortunately you’ll need to wait for our Singapore preview to get our thoughts on who that may be. 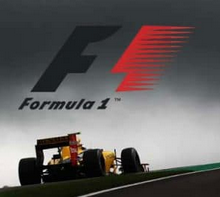 You can view all of our formula one previews here.